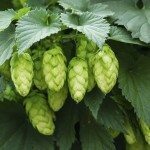 Hops are perennial rhizomous plants grown as ornamentals or to harvest the flowers and cones to flavor beer. These plants are heavy feeders and need plenty of water to produce the 20- to 30-foot vine. In proper soil, with bright light and consistent water, hops are speedy growers that get bigger every year. In improper conditions or where disease or pests threaten the vines, you may find your hops plant quit growing. Try troubleshooting hops problems to find the root cause when hops stopped growing. 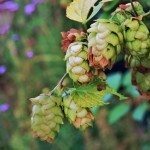 Even if you aren’t a home brewer, hops plants make elegant ornamental vines when trained over an arbor or trellis. The plants need at least 120 growing days, nutrient rich, well-draining soil, a soil pH of 6.5 to 8.0, full sun and plenty of water. These twining vines should be female to produce cones and should come from healthy, robust rhizomes. Failure to meet all these conditions can cause stalled growth on hops. Even with all the proper requirements, hops plant problems like insects and disease may make your hops plant quit growing. Finding the cause of any plant problem can be like hunting for a needle in a haystack. 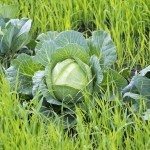 Because growing conditions, disease and pests are all factors in successful growth, the potential causes can really add up. 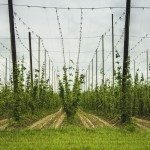 Hops plant problems usually start with site and cultivation practices. Without enough water, the proper pH, plenty of light and good drainage, the vine is unlikely to thrive. Once you rule any of the conditions of growth out of the picture, you can focus on pests and diseases, of which there are many potentials. Stalled growth on hops is common in the first year when the rhizomes are building energy and the vine is still too young to produce vigorous stem growth and cones. If you’ve noticed your hops plant quit growing and it isn’t a first year plant, look at how much water you are giving on a weekly basis. Some growers recommend watering twice per day in the heat of summer, but this may be excessive depending upon your soil type. A good rule of thumb is to water deeply, frequently and let the top couple of inches of soil dry out before watering again. Feed each plant with a side dressing of ½ teaspoon of 21-0-0 fertilizer in June to add extra nitrogen. Dig in manure compost around the plants in spring. Prune plant vines to two to three healthy shoots to prevent excessive stems and promote cones. Tie the vines to a support structure to enhance sun exposure and strong scaffolding. Once you’ve ensured good siting and care for your hops plant, it’s time to look at some other causes of stalled growth on hops. The most common disease issue is downy mildew, most prevalent in cool, wet weather and is characterized by vines blackening and dying back. Vine pruning will increase circulation and prevent much of the problem. Spray plants with a mixture of water and baking soda to help prevent development of spores. Insect pests are harder to pinpoint. Sucking insects cause much of the loss of vigor that stunt vines and diminish growth; aphids and spider mites cause leaf speckling, distortion, vine wither and overall lack of health. Insecticidal soap sprays will usually do the trick. Big leaf eaters, like cutworms, cause the most damage to young plants. The pests come out at night and can completely girdle a vine as well as chow down on the leaves. Attacked plants look like they came from a Swiss cheese factory and entire stems may be cut off and killed. Hunting with a flashlight and squashing those nasty little organisms is the most expedient and earth friendly way to dispatch the threat. Cucumber beetles are another common enemy of the vine and are large enough to hunt and destroy in the same manner you treat the cutworms.